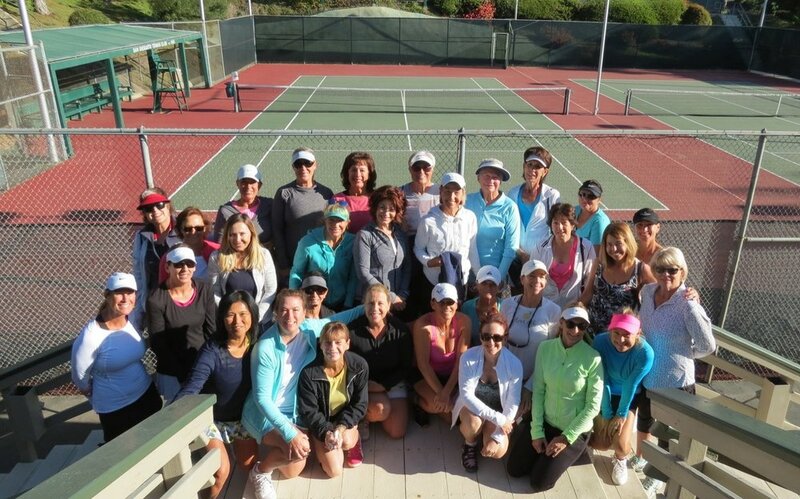 Tucked away in a beautiful five-acre terraced hillside, the San Dieguito Tennis Club provides a warm community atmosphere with nine courts, a large clubhouse facility, pro shop, pickleball court, ample parking, and a heated swimming pool. Founded in 1966 by a small group of local tennis families who wanted a place to play tennis. Those forefathers laid the foundation (literally) for our nine court facility. The club has grown to include a pro shop, 40 ft. swimming pool, concrete backboard, two levels of parking and a clubhouse. San Dieguito is a member owned corporation, and run economically, with just a few paid employees. San Dieguito Tennis Club stands out in a number of other ways. Since it boasts one of the lowest “player to court” ratios in the country (21 to 1), members seldom have to wait for a court. There are no court reservations for ordinary play. Members may bring guests and pay $5.00 per day for each guest. The member must stay with and play with the guest. No public use is ever permitted other than Club sanctioned events. Our members consist of all levels of ability. No pets are permitted on club premises. The Pro Shop offers racquet stringing with a 24-hour turnaround. Our work is 100% guaranteed. The Pro Shop is open to the public, located on the mid level, there are tennis balls, club logo wear, grips, accessories, drinks, and snacks for purchase. Ball machine rental is open to the public. Call the shop 24 hours in advance for a reservation. 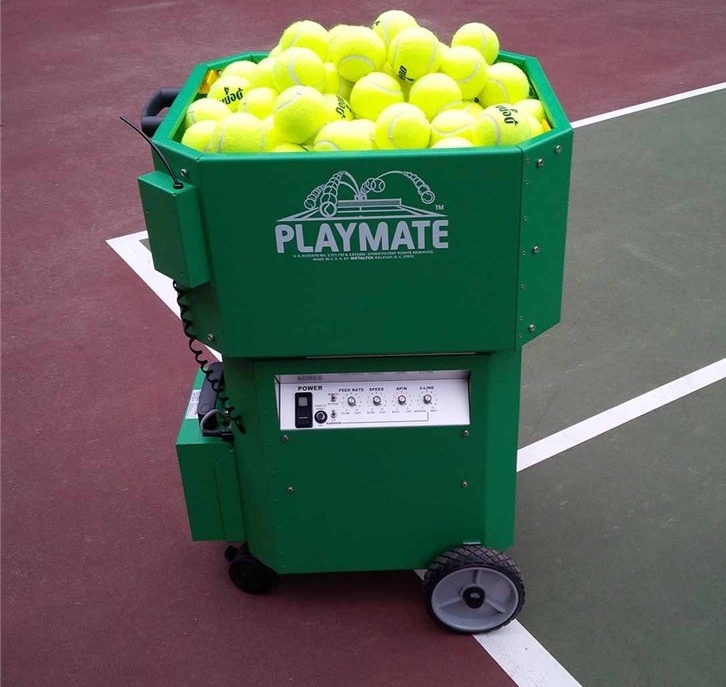 The ball machine may be used on Courts 5, 6, or 8 starting at 11am pending availability. Cost: Members $12/60 min or $10/30min. 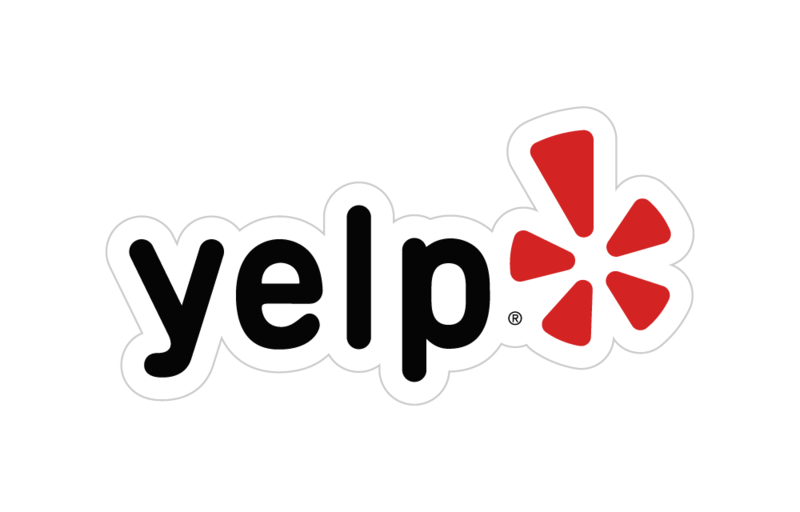 Non-members $15/60 min or $12/30 min. We now have new pressurized tennis balls for use with the machine, please do take care to round them all up at the end of your session! Phil Lambert, Brad Humphreys, Greg King, Karen Barr and Pam Zimbalist.